The RetroReach Manipulator Arm is a stand-alone retrofit manipulator arm that enhances the functionality of a Pronto4 retrofitted mobility platform. 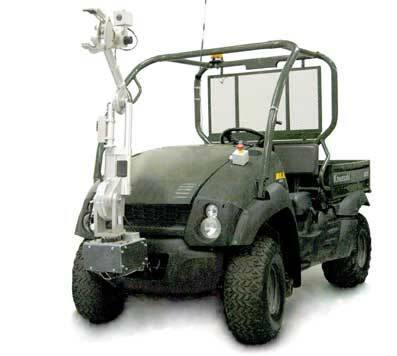 Capable of performing high-maintenance operations, delivering payloads or moving small mobile robots closer to a drop-off point, the RetroReach Manipulator Arm has a wide range of applications on a number of vehicles. A Kawasaki Mule retrofitted with the Pronto4 Agnostic Autonomy System and the RetroReach Manipulator Arm. Lifting capabilities exceeding 250 lbs.